Dream In Darkness: You Looking at Me? Well, CT Nan saying hi and introducing a couple of wary "friends" who don't quiet seem to trust each other not one single bit! Grumbacher is our fantastic sponsor this month and also next month and I used their awesome water mixable oil paints called Max. 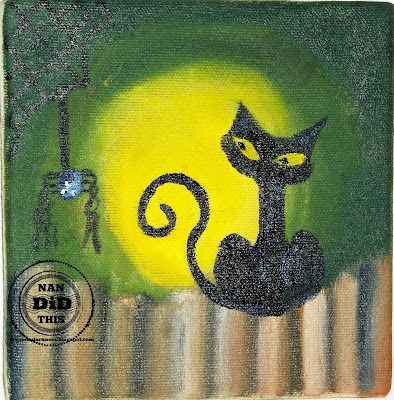 I used a 4 x 4 homemade canvas made for me by my dad which made me smile. The Art Sherpa, Cinnamon Cooney, on Youtube did this type of painting with acrylics and it was so fab I decided to try with the oils. Check her out and subscribe; it is a fun and weirdly wonderful channel! And yes my spider has 3 eyes and was supposed to have more (they do in real life I think?) but I ran out of room. They are eyeing each other closely to see who blinks first but I think that they will become great pals by the end of the day! Plenty of time to get your entries in to the Frog and then we can run over to your blog and pop in for a visit to leave you some love! 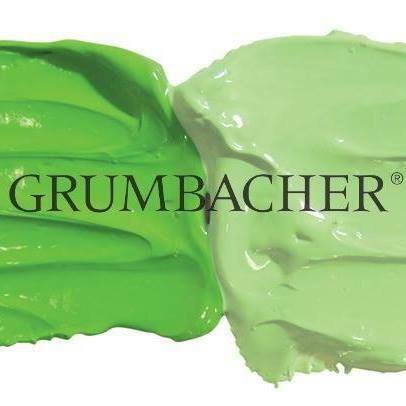 Remember, Grumbacher paints are up for the winner of November and December and they are sooo much fun to play with! See ya soon if you get busy right now!